Radiation is a subject most of us know little about. Well most folks know that the sun has radiation, x-rays have radiation, nuclear weapons have radiation, and that The Incredible Hulk, Spiderman, Daredevil, The Fantastic Four, and the Teenage Mutant Ninja Turtles all got their super powers from exposure to radiation. And of course CT Scans use radiation. Everybody knows that right? One third of people getting a CT scan didn’t know the test exposed their body to radiation. In a study from a U.S. medical center, researchers found that 85% of patients also underestimated the amount of radiation delivered by a CT scan, and only 5% of them thought the scan would increase their chances of getting cancer again in their lifetime. CT scans are high-powered X-rays that expose patients to between ten and 100 times more radiation than a normal head or chest X-ray for example. The radiation dose from one CT scan typically ranges from a level comparable to yearly background radiation from natural sources (like the earth and sun) – to close to 20 millisieverts, which is the annual exposure limit for nuclear industry employees. One study from the National Cancer Institute estimated there would be about 29,000 future cancers related to scans done in 2007 alone. That year, Americans had about 72 million total CT scans. The most common cancers thought to be caused by radiation exposure are lung, breast, thyroid, stomach and leukemia. And if the DNA damage is not repairable by the body it can lead to cancer. Now the last thing I want to do is scare anybody, but it is important to be fully informed about medical procedures that could be potentially harmful. As is evidenced in the study above, most patients were not fully informed about the risks associated with the ionizing radiation in CT scans. A third of them didn’t even know CT Scans used radiation! Even though this study was only conducted at one medical center, I don’t believe this is an isolated problem. I believe that this lack of disclosure from the medical industry and ignorance among patients is the norm. I was definitely not informed about the radiation risk from CT scans. I knew that CT Scans were stronger than x-rays, but I really didn’t have any clue as to how much until I researched on my own. This post will arm you with some powerful radioactive knowledge. The impact of radiation on the body is easier to grasp once you understand how it’s measured. I’m going to try to keep this as non-technical as possible. the gray (Gy) and the sievert (Sv). One gray is the absorption of one joule of energy from ionizing radiation, per kilogram of matter. A gray measures the actual absorbed dose to a specific area, like to your brain or prostate, for example. One sievert is a measurement of the equivalent dose of total body exposure. Like comparing a dose to your prostate with the same dose equally spread across your whole body. The sievert is a more appropriate measurement for exposure of nuclear workers or bomb victims, which is why it was used in the article above. 1 gray = 1 sievert. They are interchangeable. If your whole body was exposed to 5 gray of high-energy radiation in one blast you’d be dead in about 14 days. Radiation therapy ranges from 20-80 gray depending on the cancer. Remember only 5 gray over your entire body will kill you, but because they only target a small area, it doesn’t. 1 gray will cause hair loss in the radiated area, over 10 gray can make it permanent. and dry “other parts” for the rest of your life. 8 gray to the ovaries causes permanent infertility. The amount of radiation used in diagnostic procedures is much less, so it is measured in milligray (mGy). FYI: Pilots and flight attendants get 4-9 mSv per year (26-56 x-rays) from atmospheric radiation. Frequent flyers will also have increased exposure, but not quite as high as aircrew members. Radiation exposure to the US population from diagnostic imaging has increased 6-fold in the last 30 years, primarily due to the rapid increase in CT scans from 1 million per year to 80 million per year. It’s a big money maker for the medical industry. Dr. Amy Berrington de Gonzalez has spent the last 15 years studying medical radiation exposure. She made a presentation of her findings at the NIH on January 11, 2013 entitled, “Medical Radiation and Cancer Risk: Assessing the Price of Progress”. Medical radiation is one of the top 10 known cancer causers in the US. Note: If those percentages seem low it’s because it is very difficult to “prove” what causes cancer and researchers can only report statistically provable links. 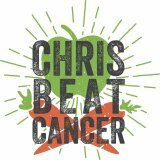 Cancer is the number two killer in the U.S. and I personally believe that diet and lifestyle cause much more than 42% of cancer cases. I think it’s nearly double that. Currently diagnostic radiation (CT Scans, etc.) is attributed to causing 1% of all cancers. Dr. Berrington projected that if we keep using diagnostic radiation at the current levels, the number of radiation related cancers will triple in the coming years. She also states that radiation treatments are in the top five causes of secondary cancers for cancer survivors. 8% of secondary cancers (on average) are related to radiation therapy. The percentage is a bit higher for prostate (11%), cervix (18%) and testicular (25%). Keep in mind, again, that this 8% figure is conservative and only represents what can be statistically proven. After only one CT Scan, the risk of radiation related cancer remains elevated throughout the rest of your life. Dr. Berrington estimates that the risk is 1 per 10,000 to develop cancer within 10 years and 1 per 1,000 to develop cancer in their lifetime. So one CT Scan doesn’t seem very risky, but keep in mind that the risk increases significantly with every scan. Also it should be noted that the risk of cancer from CT Scans is much higher for babies, children and young adults. The risk decreases significantly after age 25 and stays consistent from there to age 80. The obvious way to reduce this is by avoiding unnecessary diagnostic radiation and radiation treatments. I haven’t had a CT Scan in many years, and may never again, for this reason. If you find yourself requiring attention in a hospital, always ask if an MRI can be used instead of a CT Scan, MRIs do not expose you to radiation. Toward the end of her presentation Dr. Berrington stated that she still believes “the benefits outweigh the risks”. She did not define the word “benefit” and considering the lousy job that the cancer treatment industry is doing as a whole I have to disagree with her. She also mentioned that the new backscatter x-rays used in airports are 10,000 times weaker than a standard x-ray. Good to know, but I still opt for the pat down. It’s like a little mini-massage before your flight! In this study published in the July 2012 Cancer Journal, researchers from the Department of Radiation Oncology at UCLA reported that radiation treatment actually drives breast cancer cells into greater malignancy. They found that even when radiation kills half of the tumor cells treated, the surviving breast cancer stem cells (iBCSCs), were up to 30 times more likely to form tumors than the non-irradiated breast cancer cells. And they became resistant to further treatments. When radiation shrinks a tumor everyone thinks it’s working, but that can be very misleading. What may be happening is that the radiation is only increasing the ratio of highly malignant cells to benign cells inside the tumor, which reproduce rapidly. Many of the cells in a tumor are not actually cancerous. Destroying those benign cells with radiation will shrink the size of the tumor but not necessarily affect the cancerous cells. “Radiation-induced reprogramming of breast cells”. In this study researchers found that ionizing radiation reprogrammed less malignant (more differentiated) breast cancer cells into iBCSCs (breast cancer stem cells). Basically radiation creates cancer super cells, that are treatment resistant. Kind of like the superbugs you hear about in hospitals that are resistant to antibiotics. And this study showed that radiotherapy increases cancer stem cells in the prostate, ultimately resulting in cancer recurrence and worsened prognosis. Chest radiation, especially when treating breast cancer can also cause significant damage to the heart and arteries leading to heart disease. Chapter on Amenorrhea in: Bradshaw, Karen D.; Schorge, John O.; Schaffer, Joseph; Lisa M. Halvorson; Hoffman, Barbara G. (2008). Williams’ Gynecology. McGraw-Hill Professional. ISBN 0-07-147257-6.